These are pictures taken with my iPhone on my walk home yesterday. (Please, no more cracks about my owning an iPhone!). 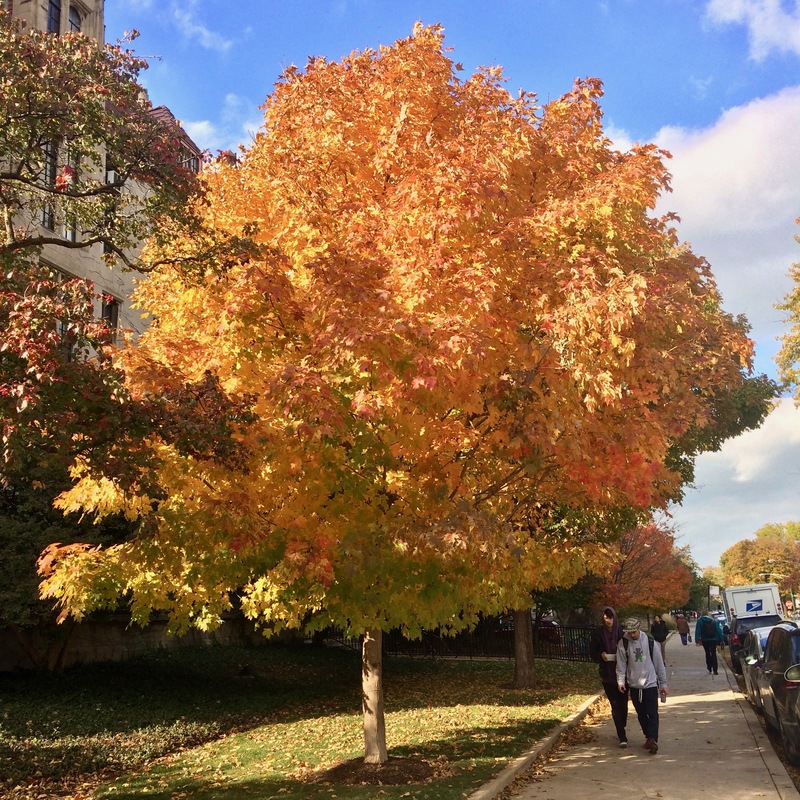 It’s about the most beautiful time of the year on campus. 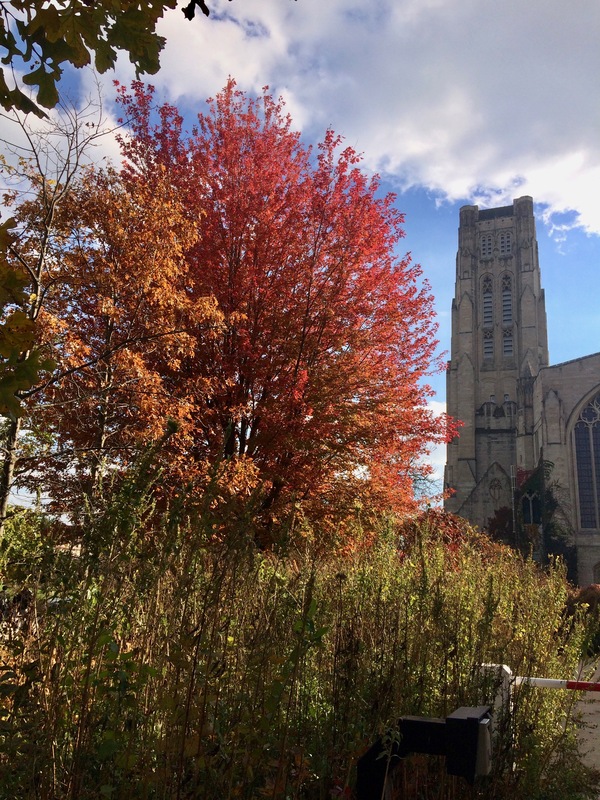 This entry was written by whyevolutionistrue and posted on October 30, 2018 at 12:30 pm and filed under photography, University of Chicago. Bookmark the permalink. Follow any comments here with the RSS feed for this post. Both comments and trackbacks are currently closed. 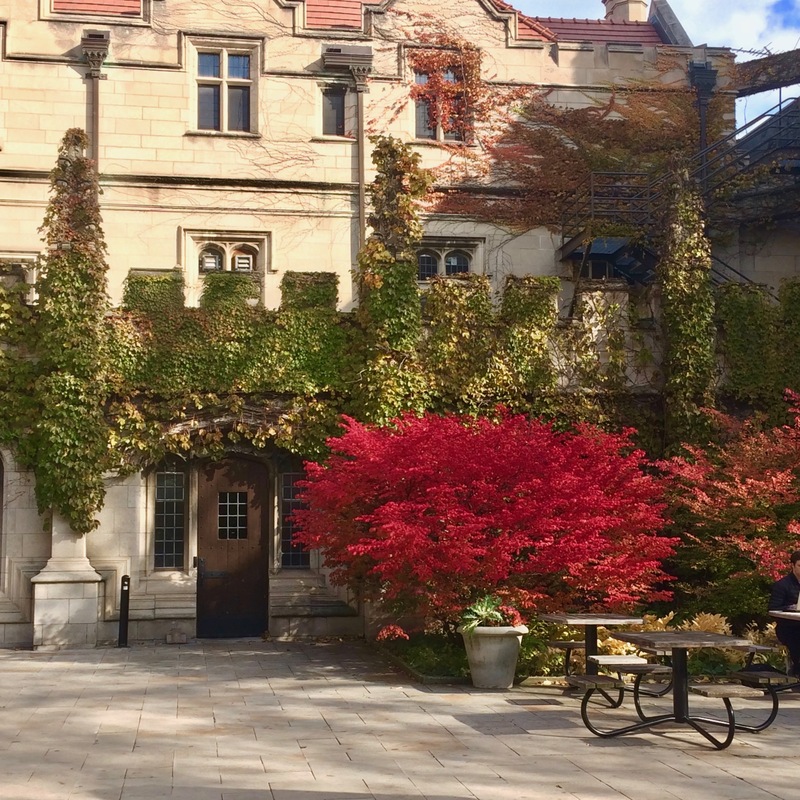 Theological Seminary now housing UChicago Economics department. Especially with the reputation of the so-called “Chicago school”. 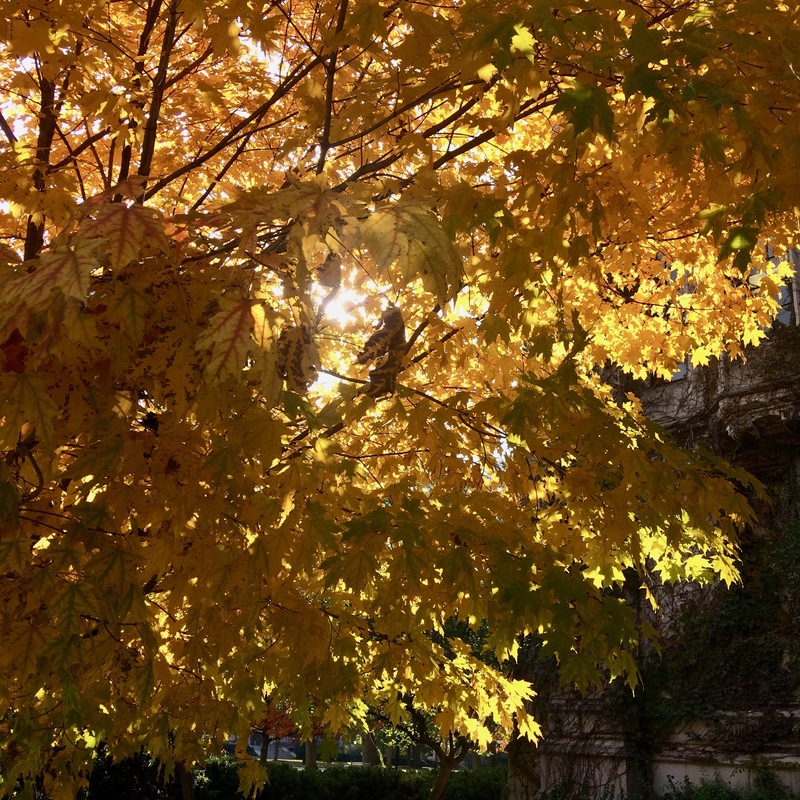 Some folks travel half way across the country to experience such Autumn beauty. 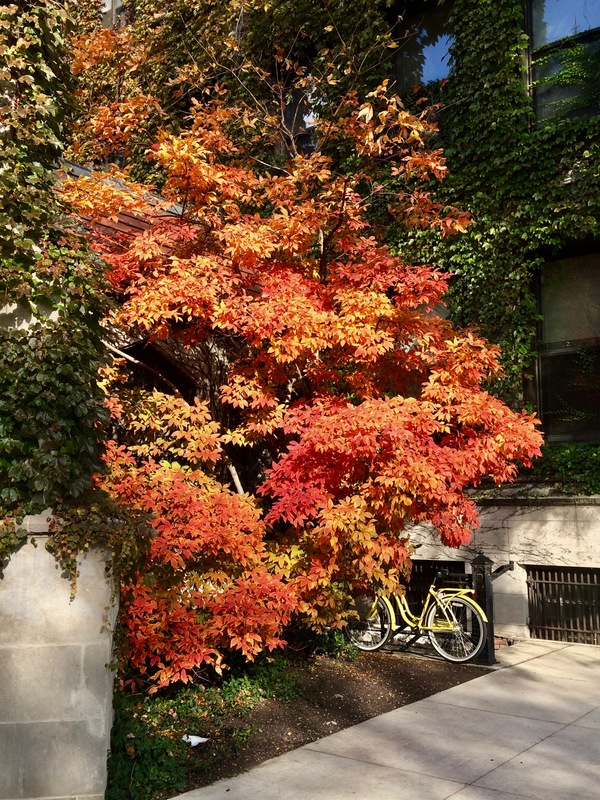 Is that a Japanese Maple outside Mandel Hall? Ours was not happy here in southern CA and we just had to cut it down. 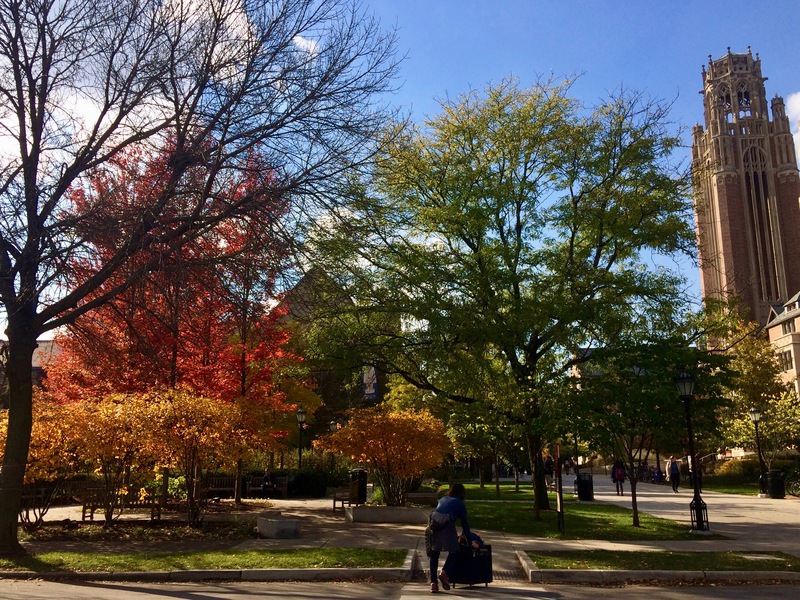 I’ve always thought that the University of Chicago campus was exceptionally beautiful. I’m oretty sure I’ve seen it in every season, and it is what a college campus should look like. This is one reason I was worried about moving west. I had grown up in the Midwest and lived in the Northeast and looked forward to the annual autumnal display of hardwood trees. Southwestern Idaho is a high desert and maple, beach, birch, hemlock, and oak don’t grow hear. Normally. You do see good color in the towns and cities(like Boise) where people plant and irrigate these trees. Fortunately, I have settled on river property where several species of tree, at least, live comfortably. I just got back from Skyline Drive (Blue Ridge Mtns. in central Virginia) where all the leaves were…. green. What a beautiful place to work. Beautiful photos! 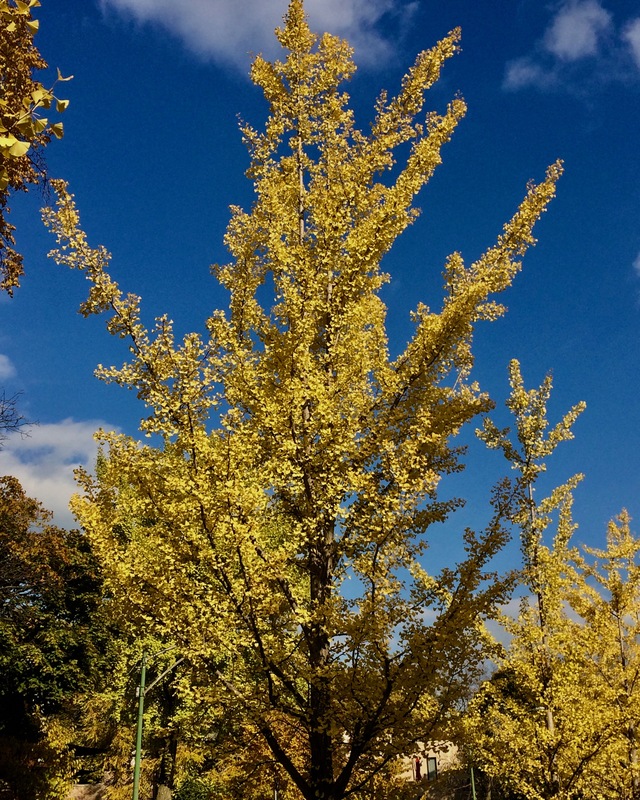 Is the Ginkgo biloba male or female? We have just planted one in our garden, and I have been advised that they cannot be sexed until about 25 years old. So if it does turn out to be female and manages to produce fruit that smell like butyric acid, it won’t be our problem! Gorgeous!! Beautiful scenes and beautiful photos; Amazing colors! Lovely – just like one can get never-ending sunsets by flying in the right way I suppose one can get a large number of “fall colours” in a similar sort of way. Why the hell would anyone make cracks about you owning an IPhone? 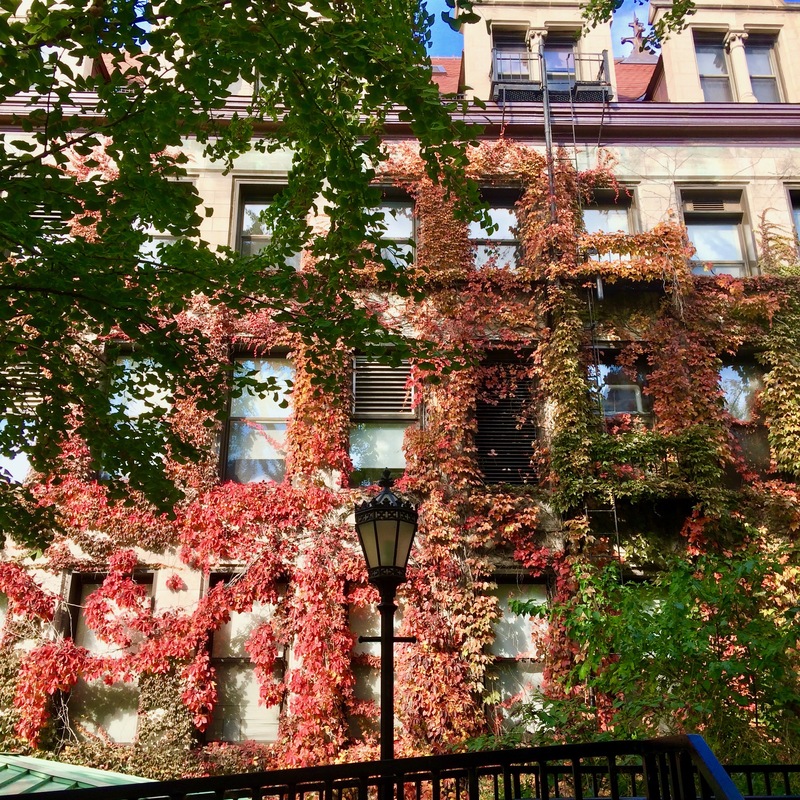 Those walls covered by creeping plants are beautiful.